You can avoid the mall and go to CVS or Walgreens. They both give flu shots. 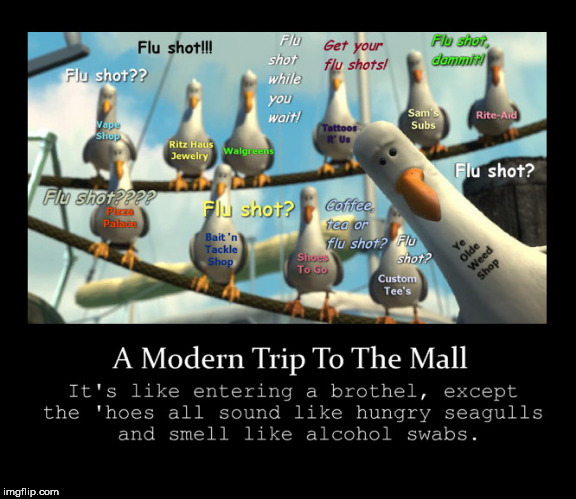 It'd be nice to be able to go out without being solicited for flu shots wherever I go! I do more shopping via Amazon these days, too. Takes a lot of the routine hassles away.